I have used capitals, exclamation marks – the whole grammatical nine yards – to shout this truth from the rooftops. first, there’s the happy stock-take – checking off each spice you’ll need from the recipe book, and measuring the precise amount into separate dishes. then there’s the heady moment of warming the seeds. Curry bloggers debate how many seconds you should warm the spice, and over what heat. My personal preference is to put a small, thick bottomed pan over a low flame – until the base is warm to the touch. I then wait a few seconds, and add the spice (strictly one at a time). This is the good bit… within seconds, the seeds release their volatile oils. Every single time I cook, I lean over the pan to inhale the aroma… for cumin seeds, a deep smell of freshly-sawn wood. finally, a few seconds later… 10 or 12… transfer the warmed spices to your grinder. If you MUST, use an electric or coffee grinder. But why not continue the sensory journey, and grind the spices in a traditional pestle and mortar? 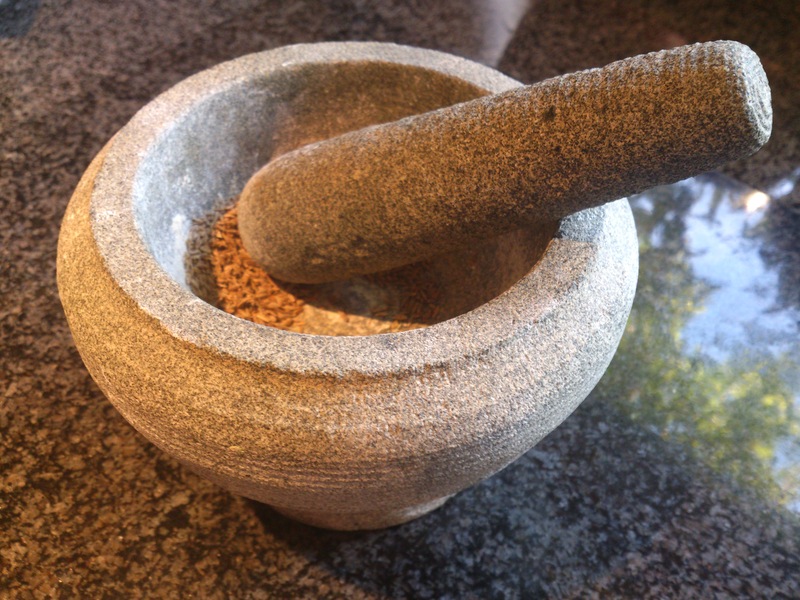 For almost all spices (except the tough customers that are fenugreek seeds) the spices crumble under the pestle – releasing a brand new aroma. For cumin, the notes jump an octave – releasing a sharp, incense-like flavour that will be the backbone of your curry. With the spices lined up in separate dishes (ground and whole, as needed), you’re now primed to cook like a restaurant pro’. Of course, as with every golden rule, there are exceptions. I’ve tried working with whole asafoetida (hing) and not only is it tricky to handle but also packs less of a punch than the pre-ground spice. The same is true, for me, of fresh and dried turmeric. And yes, for compound spices, I do use commercial garam masala. But otherwise, there is no substitute for the daily grind. Even for the big, complex mixes (sambhar) where’re you’re combining seven or eight spices – the only way to get there is to use fresh spice. Warm and grind your first quantity of cumin seeds, inhale the savour, and discover the key to curry heaven. If I’m wrong – tweet me. Alongside the author of your favourite Indian cookbook, the most important person in your curry journey is your local Asian Retailer. He (or she) is the person who’ll help you understand that Bengal gram, channa dal and kadalai parupu are one and the same thing (in English/ Hindi and Tamil respectively). He or she will tell you when delicious Indian vegetables you’re looking for are in season, and help you to pick between the myriad of chillies (red/ green/ big/ small/ hot/ mild) for tonight’s curry. Your Asian Retailer is your guide, translator and friend rolled into one – and a team player in every curry you cook. Which is why my weekend doesn’t really start until I say ‘hi’ to the team at The Asian Foodstore, Salisbury. 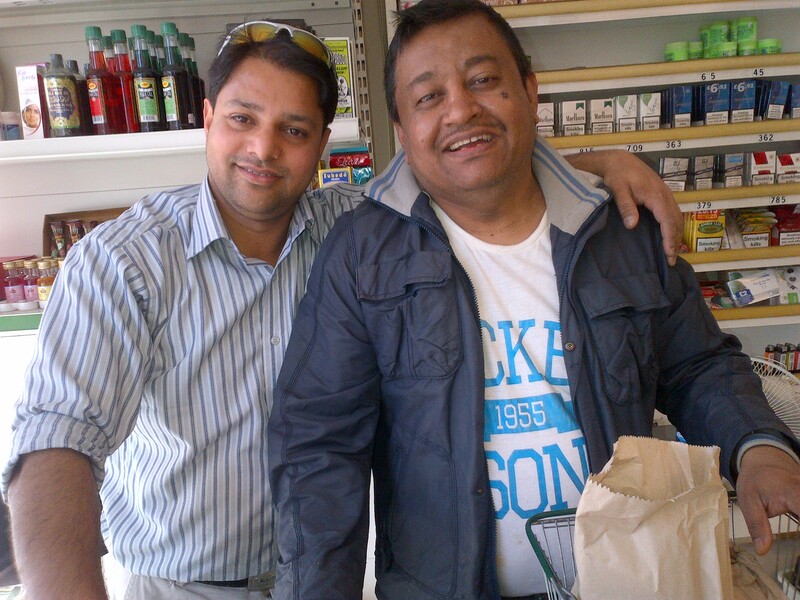 Pictured above are Monir Ullah (left) and Sahab Uddin, chef at the Balti House, Salisbury. And talking to Monir and the team, I learn something on every single trip. This week, Monir and Sahab gave me a masterclass in buying coconuts: first, the bit that everyone knows, shaking for water inside the nut and choosing the fruit that sounds most liquid; second, weighing up the sloshiest-sounding nuts in left and right hands – and picking the one that’s heaviest (with flesh full of juice). I followed their advice. Back home, we broke open the milky-white flesh that gave us the dressing for Julie Sahni’s inspired Sprouted Mung Beans with Coconut (from Classic Indian Vegetarian Cookery). And we couldn’t have got there without the advice and raw materials from Monir and Sahab. For almost all of us, Indian cuisine starts with eating someone else’s cooking – and wanting to cook your own. The good news is that there are tried and tested recipe books which will help you do just that. And from the crack of the starting gun, you’ll be cooking some of the most delicious food you’ve ever eaten. But which book do you choose? 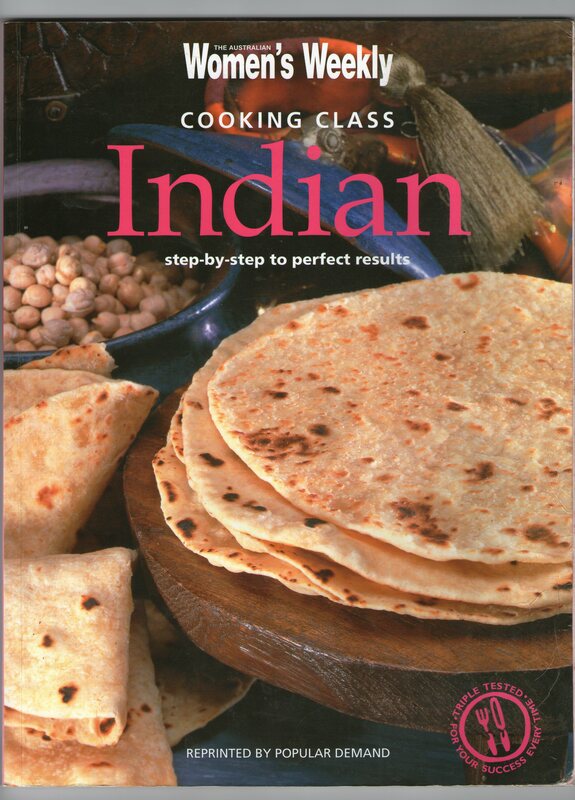 The first Indian recipe book I owned was Cooking Class Indian: step-by-step to perfect results – a birthday present from wife Sue. I’ve cooked from it for four years, and the ghee and turmeric stained pages are proof of its happy times in our kitchen. Even now, I’d rate the recipe for Prawns Dhania Massala as one the most delicious Indian seafood dishes I’ve eaten (and if you come to our home for a dinner party, you’ll get to know it). The recipes for Aromatic rice, Mixed dal and Mango kulfi are all sure-fire winners. If you’re feeling high-brow, then the numbered, step-by-step recipes and illustrations might feel a bit kindergarten. (And if you’re an alpha male, the Women’s Weekly masthead might be a deal breaker). But for everyone else, Cooking Class Indian is a practical, colourful and delicious first-step on a curry journey. Thank you, Sue. 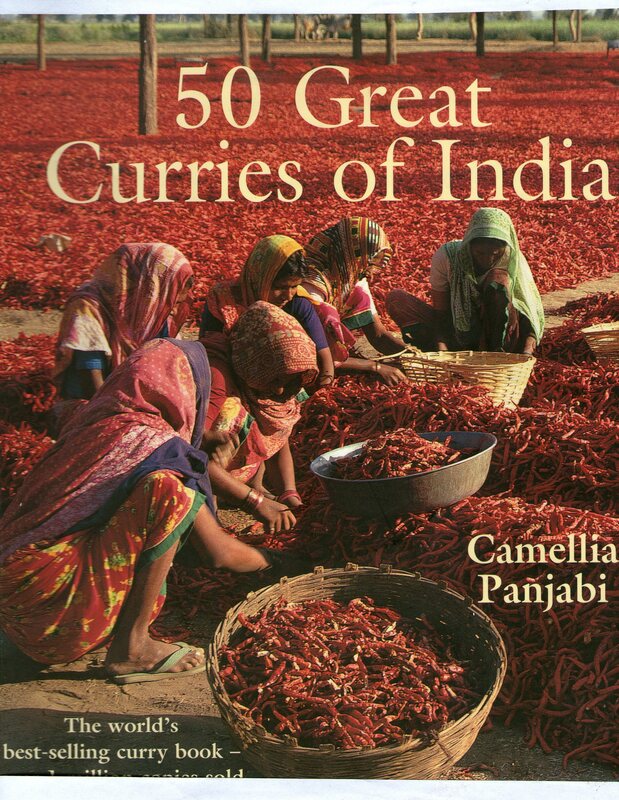 Camelia Panjabi’s 50 Great Curries of India does what it says on the tin (or on the cover, to be more precise) and steers you through the masterpieces of traditional Indian cooking. The fifty page intro’ is a treasure trove of advice on the philosophy, ingredients and techniques on curry making. Panjabi’s CV as a restaurateur is world-class (Taj Hotels, Bombay Brasserie, Chutney Mary, Veeraswamy, Amaya) and the book oozes love for – and deep knowledge of – Indian food. The recipe for Lamb with plums is a personal all-time favourite. (And I could have cried with gratitude when Panjabi not only told me how to cook the dish – but when I’d seriously overdosed the chilli at a meal for 20 guests – also told me in the intro’ how to dial down the fire in any curry … simply add more of the astringent, in this case… plums). A landmark cookbook. 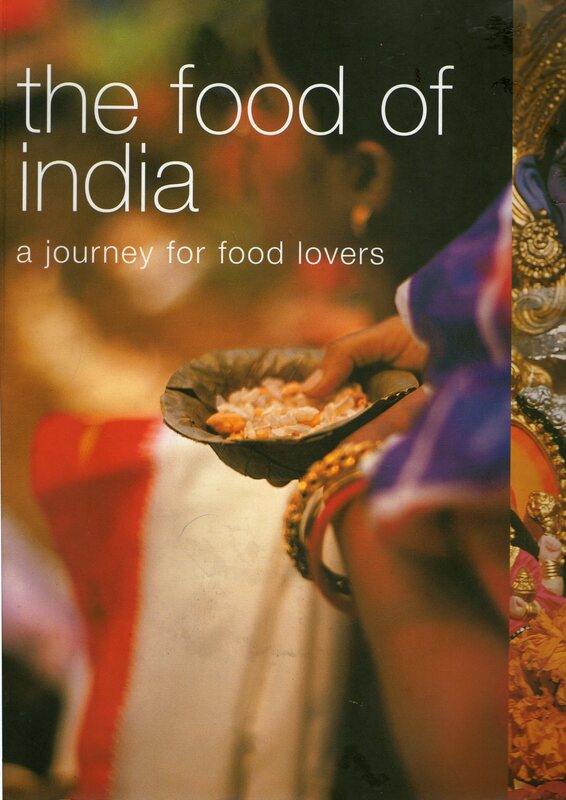 But we all have to have a favourite starter book, and mine – without question – is The Food of India: a journey for food lovers. Overlooking the fact that the word ‘food’ is repeated twice in the title (and that this wonderful volume comes from the dark star known as Murdoch Books) – The Food of India is a joy to own and cook with. 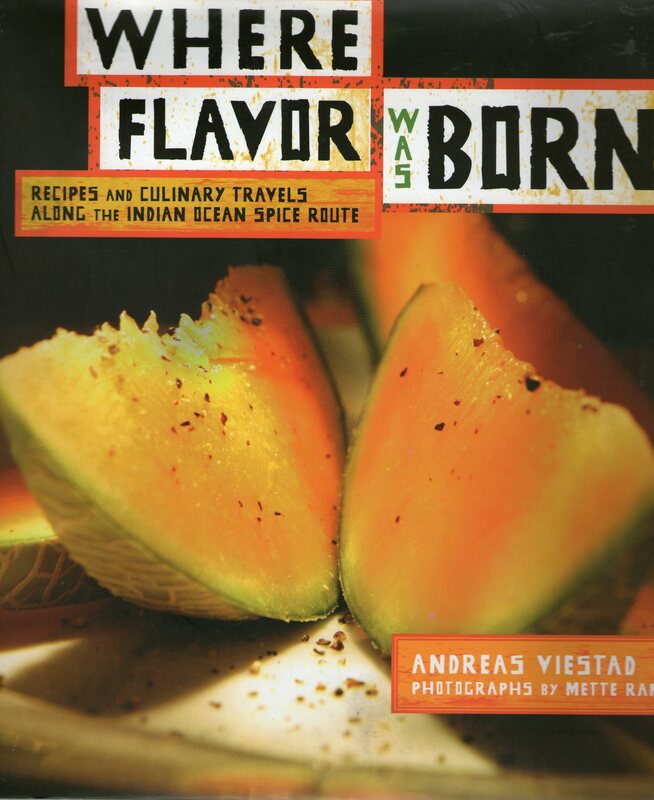 Illustrated with mouth-watering images of street-food from end to end of India, the book steers you effortlessly from simple but delicious classics (Chilli Lamb Cutlets, Chuchumber, Methi Aloo) to high-end delights you struggle to find in gourmet cookbooks (Spiced Banana Flower, Chilli Crab). Every single recipe works with spectacular results, and if you cook your way from cover to cover you will be tempted to think you’re a Domestic Goddess (or God) of Indian cuisine. In fact, you’ve dipped your little toe in the shallow end of the curryverse. And you’re starting the culinary adventure of a lifetime. If you’re reading this as a member of a foodie Asian family, then this post probably won’t make much sense. You KNOW how to make a great curry, and the recipes are in your DNA. You know your achar from your elaichi. Curry genius is all second nature. For the rest of us… there are recipe books. If there’s one national cuisine that you truly can’t bluff you way through, it’s Indian. The sheer number of spices, herbs, seeds, grains and legumes you’ll need (not to mention the thousands of different permutations of grinding, mixing and cooking with them) make the chances of guessing your way to a great curry virtually zero. In fact, take your eyes off a curry recipe for ten minutes – and you’re almost certainly heading off-piste (in a bad way). Curry recipe books are the Magna Carta of successful Indian cooking. If you start your search for Indian recipe books in Waterstone’s, it doesn’t look too intimidating. Even the bigger branches stock 15-20 curry cookbooks at any one time – normally a smattering of ‘British Celebrity Chef does Curry’ (Hairy Bikers, Gordon Ramsey… take a bow) plus a selection of books by Indian authors. It all looks pretty manageable. Then you go online, and experience your culinary Big Bang. Like medieval man swapping a geocentric view of the solar system for a glimpse of Planet Earth as a grain of sand on a beach – you realise the ‘curryverse’ is infinite. Search for a curry cookbook online, click on ‘people also bought’, click again, again, and again… and you’ll never even glimpse the horizon. 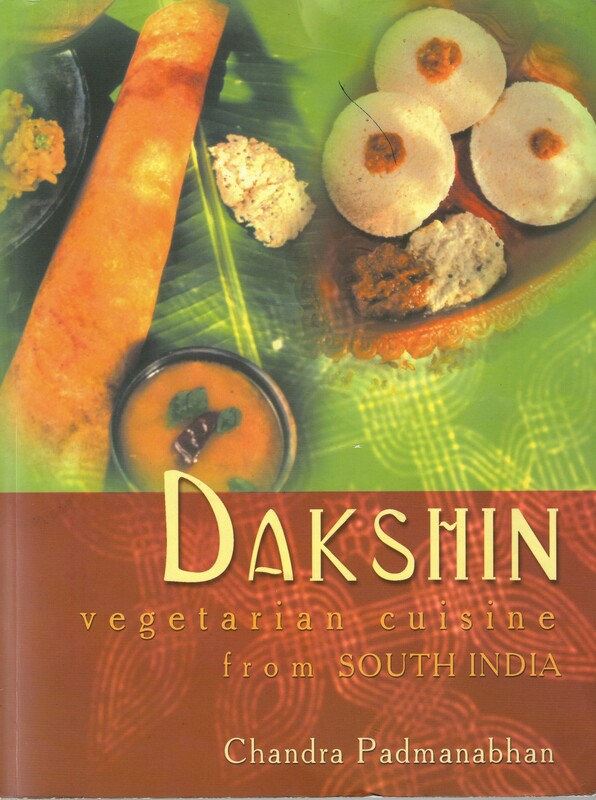 Splintering off into sub-sections (vegetarian, regional, religious, seasonal, travelogue, historical, nutritional… and many more) there’s an infinity of Indian recipe books out there. And you want the best of the best. You want a cookbook that’s perfect for your stage in your ‘curry journey’. You want a book with soul, a book that will give you the alchemical power to cook the most delicious food that you or your friends have ever eaten. That’s where my next posts will go. And somewhere on that journey, I promise to review ‘fennel-scented parathas with sugar’ – a pan-fried bread which we cooked at home this week and re-defines the concept of ‘savoury and sweet’. Indescribably delicious. Can anyone tell me the Hindi for ‘bon appetit’? It’s a fact that – as a curry cook – you may want to surf across the cuisines of the Middle East and Asia to find the place where your palate says ‘wow’! If you do, then are some great cookbooks to keep you company. Feast Bazaar, Where Flavour was Born, and Spice Market all sit on my shelf at home – and each has helped me along my curry journey. Where Flavour was Born took me on a spice safari from Zanibar to Malaysia and beyond, persuaded me to wear gloves when chopping fresh chilli (a must), and painted an unforgettable picture of the author foraging for fresh tamarind pods among a herd of wild elephants. 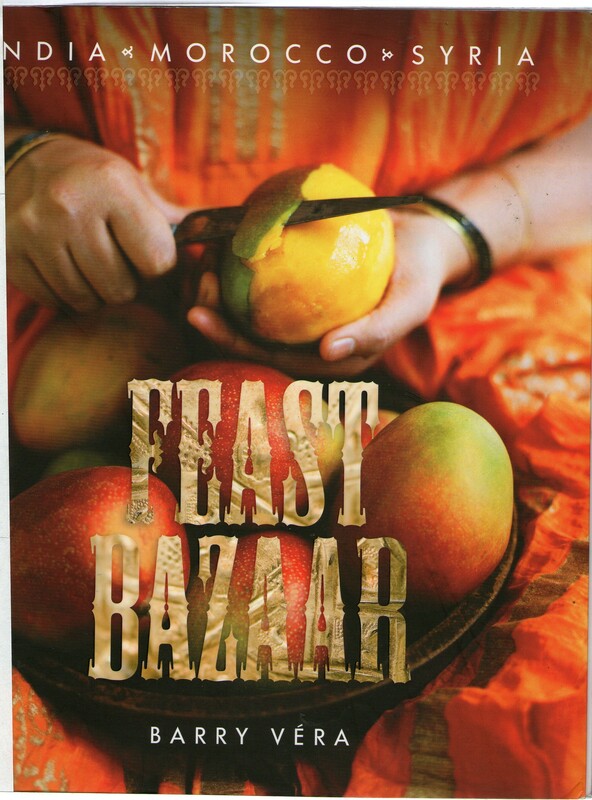 Feast Bazaar toured me happily through the great dishes of Morocco, Syria and India. 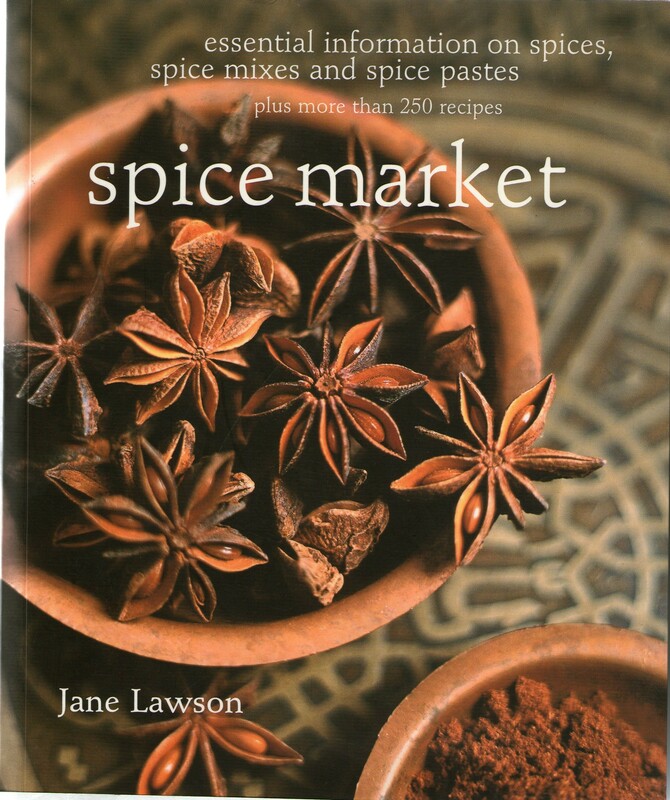 Spice Market planned the food journey a different way – with chapters on every seed/ berry/ root and spice known to man – all linked back to great recipes defined by that ingredient. Each of these books is beautifully illustrated, and packed both with great recipes and insightful curry knowledge. The authors know their curry onions. If you’re hovering between the spicy delights of a Berber tagine, Balinese suckling pig and Cape Malay curry – then you are in perfect company. But… but… if you’re a ‘masalaholic’ – and your curry journey is all about India – I don’t think these are the books to inspire you. As a ‘masalaholic’, you want a cookbook that you find yourself devouring cover-to-cover like a novel… an author you want to invite to dinner… and recipes so delicious you want to tattoo them on your chest. Feast Bazaar, Where Flavour was Born, and Spice Market might inspire you to do one or two of the above. I guarantee that future cookbooks in Good Korma will inspire you to do all three. It’s a beautiful image. But as a definition of genius… just seven voices in harmony.. really?? SURELY Mr Holten should have reached for THE metaphor of harmony arising from complexity… a curry! Let’s take a single dish (and one of my favourites) the spicy rice from southern India: Bissi Bele Hulli Anna. This harmonious work of genius contains no less than 36 ingredients (cloves, coconut, chilli, curry leaves, cinnamon, fenugreek, tamarind and poppy seeds… to name just eight). Follow the recipe in Chandra Padmanabhan’s inspired Dakshin, and you’ll travel on a four part odyssey which blends all 36 ingredients into a mouth-watering symphony. And that’s just the rice! The Indian meal it’s served at would almost certainly include several other dishes, not to mention chutneys and relishes – bringing literally dozens of ingredients together in one meal. Which, for me, is the whole genius of Indian cooking – the art of bringing together a semi-infinite palette of tastes together on a single palate. No other national cuisine, I believe, matches the genius for fusion that’s existed for millennia in India… as its people embrace each new wave of culture – and give it back to the world in an ever richer and more complex cuisine. (The chilli, let’s not forget, was imported by the Portuguese from the New World to India – who went on to make this new vegetable the foundation of some of their greatest dishes). So – Wolfgang Amadeus – up your game, mate. Give us an opera with 36 part harmonies, and we’ll start to name-check you as a master of fusion. Until then, we agree that CURRY is the gold-standard for harmony – and that not even the God of Opera can touch the Indian cook for producing joy from complexity. The year was 1995, and I found myself on a solo shopping trip in Tesco, standing behind an elegant mother and daughter wearing saris, who were struggling to lift the biggest bag of rice I’d ever seen. I offered to help. Somehow, we got onto food – and I had to share with them the guilty fact that I’d never managed to cook a single bowl of the ambrosial rice that Indian restaurants serve in their millions. My rice was stuck in a 70s rut of British cooking: a floating, homogenous sludge that’s a million miles from the vibrant community of liberated grains that a great pilau can be. Could they help? 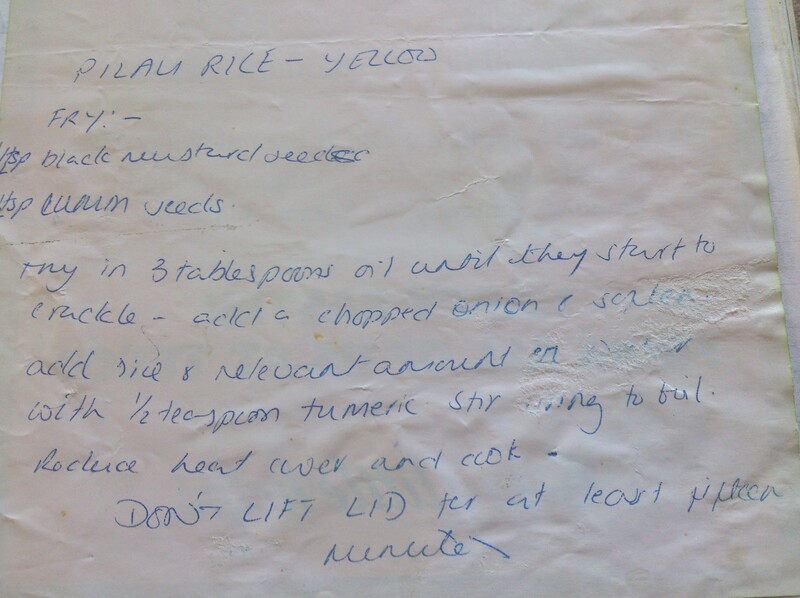 On the back of a handy Tesco flyer (‘Easter Opening Hours, April 1995’), the mother gave me the first Indian recipe I’d ever owned. Several decades later, I still have that piece of paper (pasted into a foodie diary of all the meals we shared with daughter Mia in her first year). As a family, we’ve cooked dozens, maybe hundreds of times from that Tesco flyer – and it’s never given us anything less than perfect rice for our table.